Add a timeless open concept look to your bathroom with elegant glass shower enclosures. The bathroom is one of the most important rooms in any home. Bathrooms are meant to be a space for relaxing and feeling refreshed – a good looking bathroom can make homeowners feel comfortable, and even raise the value of any home or cottage. One of the best ways to add an elegant and modern touch to any client’s bathroom is with the addition of a frameless glass shower enclosure. 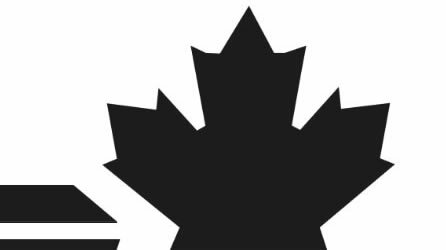 Muskoka Window and Door Centre provides these exclusively to our builder and architect clients, as they usually are installed as part of a major renovation or a new design/build. Frameless glass shower enclosures help to create an open concept look for your bathroom, adding a great deal of elegance to what can easily become a dull-looking area of the home. Glass shower enclosures focus on beautiful aesthetics without sacrificing the strength and durability of other shower enclosures. 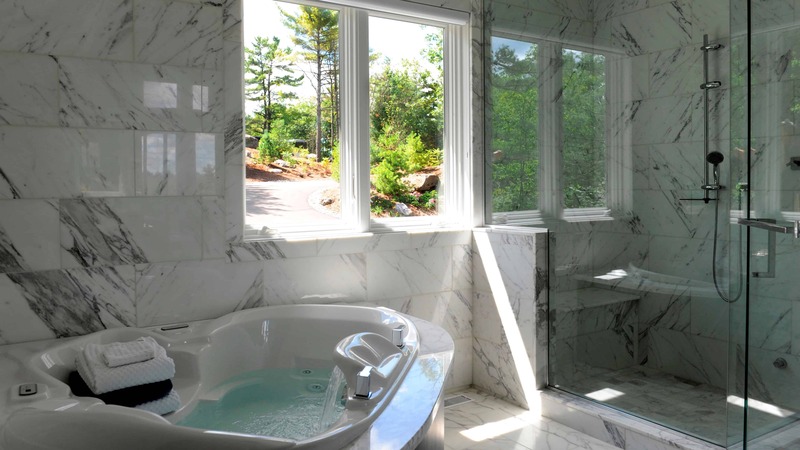 Muskoka Window and Door Centre designs each and every glass shower enclosure to the custom needs of each client, using specialty tempered safety glass to ensure durability. 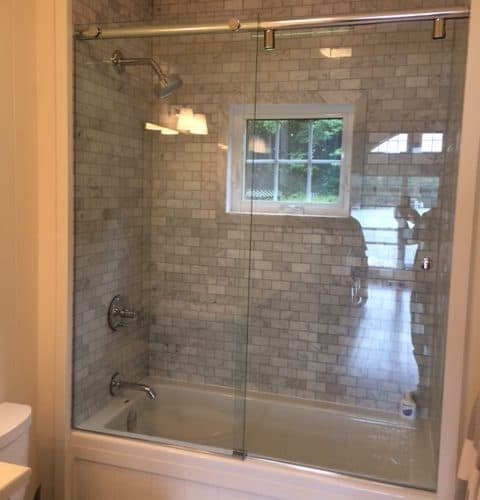 We offer a wide selection of custom hardware and a wide variety of finishes, allowing our clients to customize their glass shower enclosures to meet their needs. The clear glass used in frameless glass shower enclosures provides a clean and crisp appearance that is perfect for maximizing the look and size of any bathroom. For those looking for something a little different, Muskoka Window and Door Centre provides textured glass styles that allows for a variety of breathtaking design possibilities. To make the ultimate statement in architecture, shower enclosures can also be designed with custom-made sandblasted and etched patterns. Muskoka W&D also installs and supplies CRL glass shower enclosure parts. 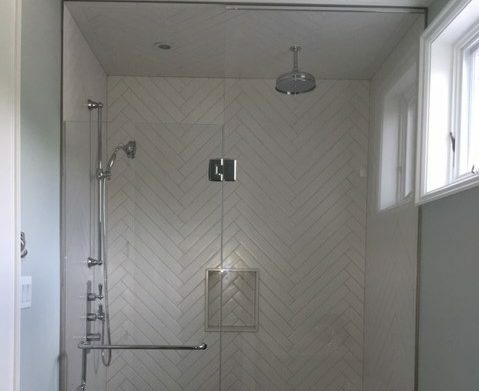 Experts in glass shower enclosure installation and design Muskoka Window and Door Centre are the leading Muskoka-area experts in the installation and design of frameless glass shower enclosures. 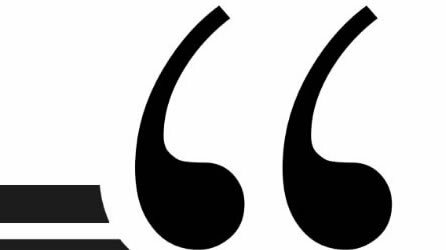 Our experienced team takes pride in our attention to detail, installation knowledge, and putting you and your clients first.